The Professional Disc Golf Association (PDGA) and the Spotsy Disc Golf Club are proud to announce that Spotsylvania, VA has been selected from numerous applicants to host the 2019 United States Women’s Disc Golf Championship. 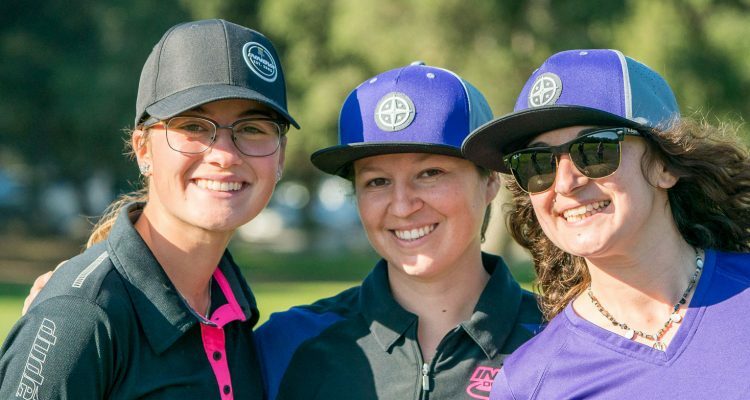 An international field approaching 200 of the world’s most accomplished female players are expected to compete for the title of U.S. Champion September 19-22, 2019. The event will be the first PDGA Major ever held in the State of Virginia. Courses to be used will include Loriella Park as well as 3 private facilities within the county—Cannon Ridge, The Blockhouse Disc Golf and Country Club, and Hawk Hollow. The Spotsy Disc Golf Club is happy to partner with disc golf’s preeminent manufacturer, Innova Discs, in presentation of the event. Proceeds from the USWDGC will go to support Empowerhouse—a Fredericksburg based 501(c)(3) nonprofit whose mission is to empower survivors of domestic violence and their children to believe in themselves and build new lives filled with dignity, respect, safety, and hope. Further information on Empowerhouse is available at empowerhouseva.org. Event sponsors and volunteers are being actively sought. For further information regarding spectating the event, sponsorship opportunities and volunteer opportunities contact Tournament Director Jeff Shattuck via email at spotsyuswdgc2019@gmail.com. The Spotsy Disc Golf Club is a 501(c)(3) charitable entity.